‘Often, sustainability is not merely better, but cheaper too. Sustainable technologies lend themselves to local systems with far lesser control costs. That is the basis for a technological transition with which the earth can feed as many as ten billion people. With better environmental quality, and more local power.’ Says Pier Vellinga, professor in Climate and Water at Wageningen UR. Pier Vellinga is one of the leading European experts on the consequences of climate change. He was actively involved at setting up IPCC and wrote several IPCC chapters on his area of expertise. He was a chairman of the Scientific and Technical Advisory Panel (STAP) of the Global Environment Facility (GEF), an institute connected to the World Bank, UNDP and UNEP. GEF is the largest public spender of subsidies for environmental projects world-wide. 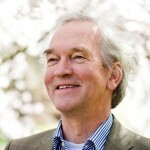 Vellinga is a professor in Climate Change and Flooding Safety in Wageningen, and a professor in Climate Change and its Social Consequences at Amsterdam’s Free University (VU). Based on these functions, he chairs the Dutch national research program Knowledge for Climate (www.kennisvoorklimaat.nl). ‘ICT is an important ingredient of this development as well. Using ICT, we can say goodbye to standardised production methods and organisational models, and start looking for the optimum from a local point of view and local experience. The Fordian corporate model has definitively become obsolete. We can fulfil an increasing number of needs ourselves – like those for energy and water – and have become less dependent on major organisations. Local and regional decision making may become more important. Sustainable technology and ICT, taken together, pave the way for an emancipatory process; in which a more efficient use of natural resources and better local power form a union. 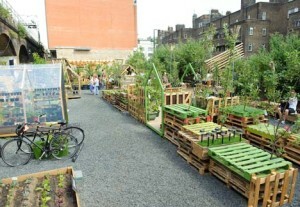 Sustainability at its best.’ Says Pier Vellinga.